We are back from our honeymoon and a month and a half later have finally been able to take a breath. 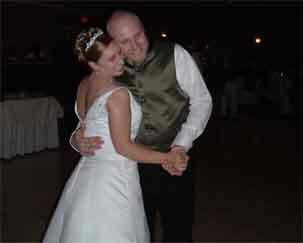 We wanted to thank you two for making our reception such a great and memorable time. Your background efforts as well as the announcements and music during the evening were seamless and looking back couldn't have run more smoothly. We wanted you to know that we really appreciated the personal touches that you made throughout the planning and during the reception. 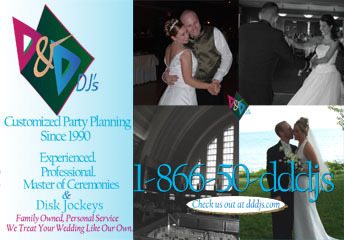 We will definitely tell anyone and everyone about you and highly recommend you to anyone looking for a DJ. Thanks again for an awesome job!!!! You may have received the attached photo from Michael Bambino but if not we've attached it for you. Thanks for the pictures from our wedding. You can use them on your website if you like. We appreciate the CD. We also wanted to add that you and Suzanne did a wonderful job!! 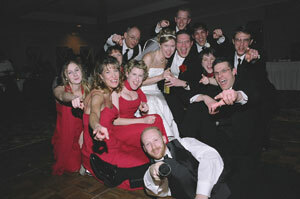 Many people told me that our reception was more fun than any other they ever attended. The dance floor was packed the entire night. Thanks for making the evening so wonderful! 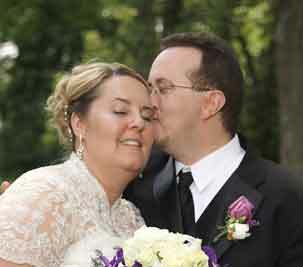 We wanted to let you know how much we appreciated all the great work you did on our wedding day! Dave, you were awesome all day and very thoughtful, and Suzanne helped us with the ceremony part. Some of our guests commented about your pleasant personalities, nice voice, good nature, approachability... and down to earth quality (non-cheesiness). I've recommended you to people we know who are engaged... and a few of them were there. We wanted to let you know we were very happy you were a part of our big day! Thank you so much for the wonderful job you did. All 300 of our guests seemed to be dancing all night long. 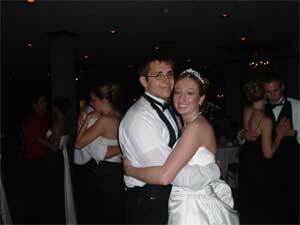 We have been to a lot of weddings over the last couple years and this was the most fun one we have ever seen. Thanks for treating us so well, and making sure everything went so well.